Chibimarukochan - FUJI TELEVISION NETWORK, INC. 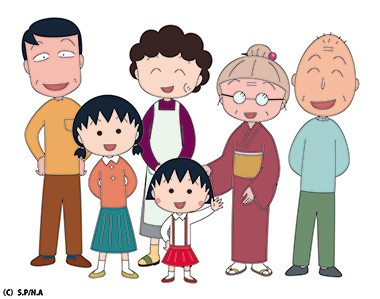 Aired on Sundays from 6:00 - 6:30 p.m.
A heart-warming story for the whole family about Maruko’s life filled with fun, adventure and sometimes bittersweet days with family and friends. The animation for “Chibimarukochan” began on January 7th of 1990. Since then the show has brought heartwarming stories to the family through Maruko’s mellow days.